Celebrate Free Comic Book Day with CBLDF’s DEFEND COMICS! This weekend, people will gather at comic book shops around the world to celebrate Free Comic Book Day! 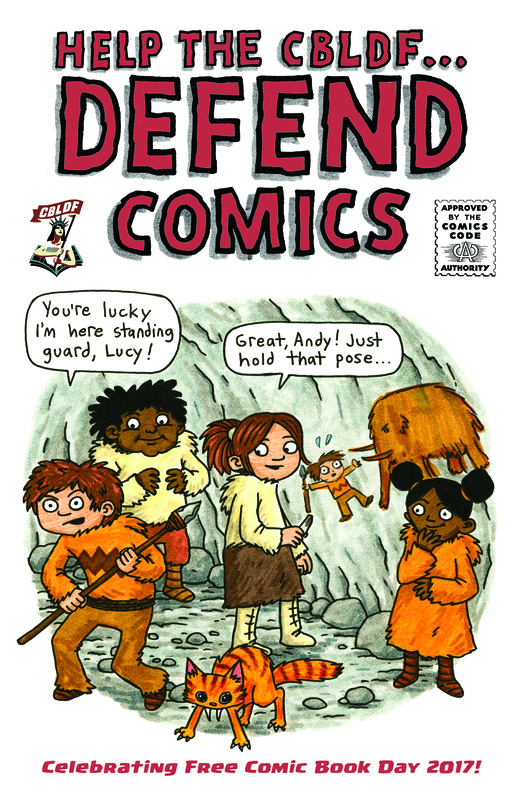 Don’t forget to pick up CBLDF’s Defend Comics, featuring a cover and a new Lucy & Andy Neanderthal story by Jeffrey Brown (Star Wars Jedi Academy, Star Wars: Darth Vader and Son)! This year’s all-ages celebration of comics also includes stories by George O’Connor (The Olympians), Jennifer and Matthew Holm (Babymouse, Squish), Matthew Loux (The Time Museum, SideScrollers), Mike Lawrence (Star Scouts), Falynn K (Science Comics: Bats), and Ryan North, Shelli Paroline, and Braden Lamb (Adventure Time). 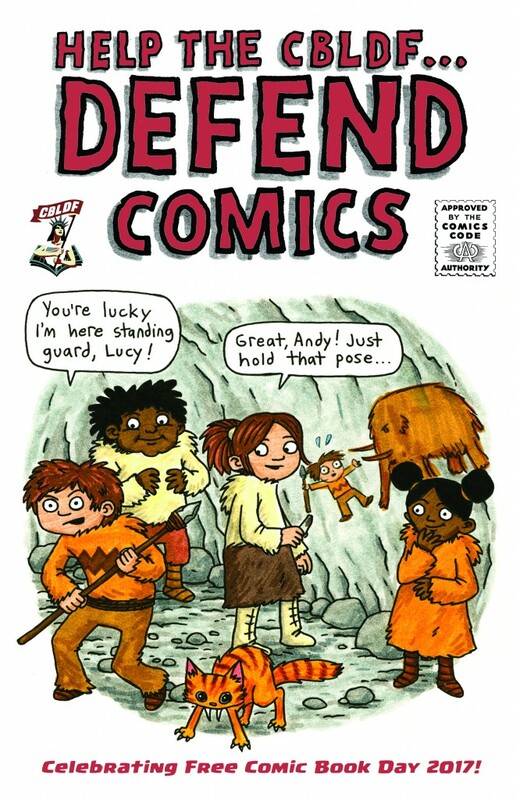 Pick up Help the CBLDF Defend Comics, 32 pages of all-ages fun, at comic shops around to world this Saturday, May 6, during Free Comic Book Day!